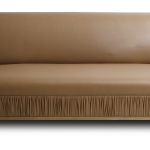 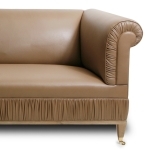 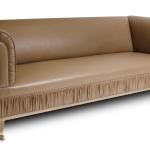 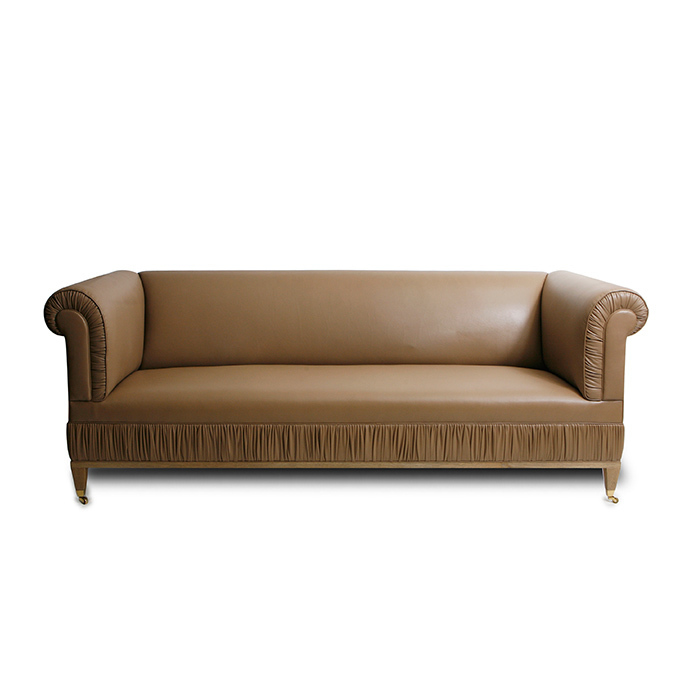 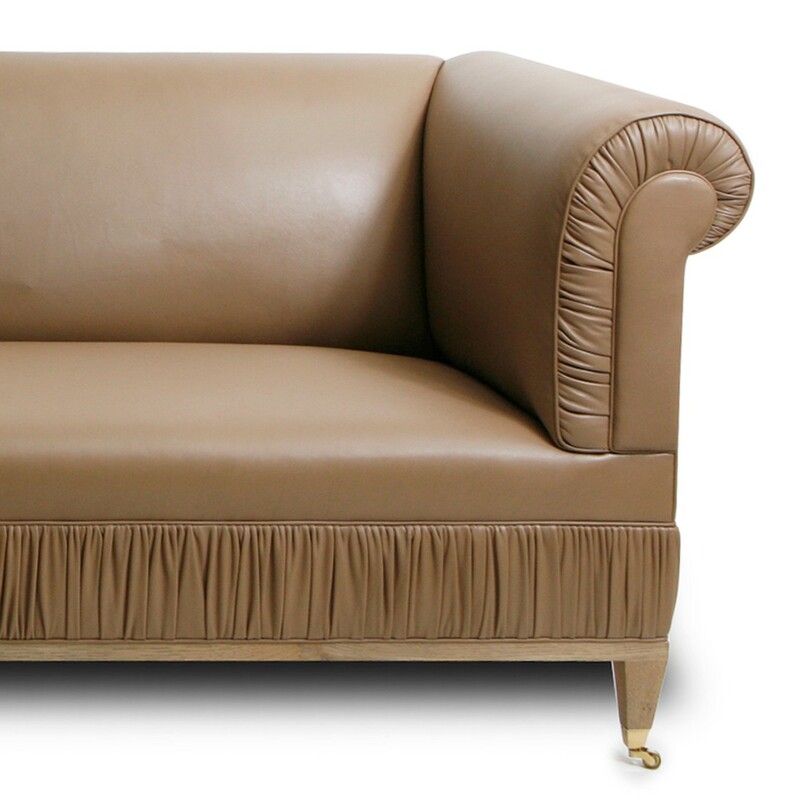 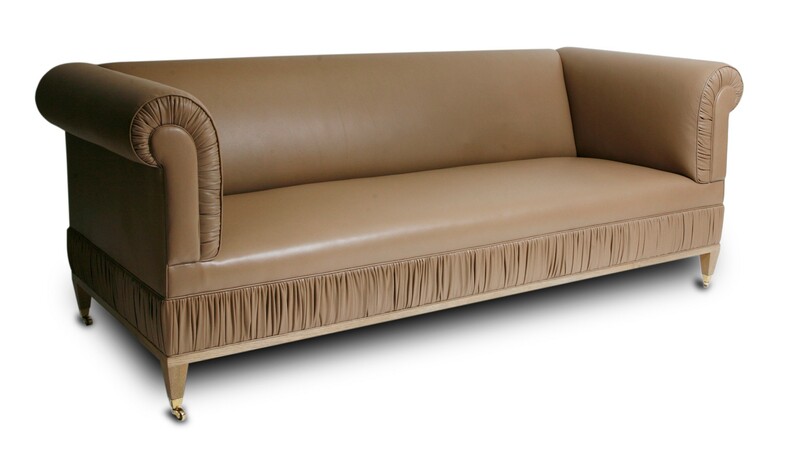 Leather sofa on a wood base, shown in camel colored leather. 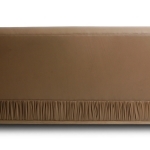 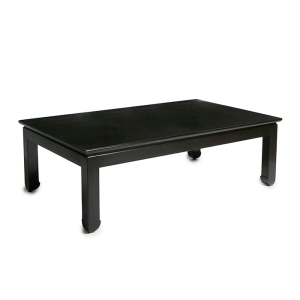 Features bass castors and ruching detail on arm panel and around deck. 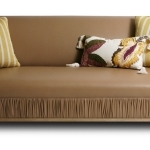 Pillows sold separately.